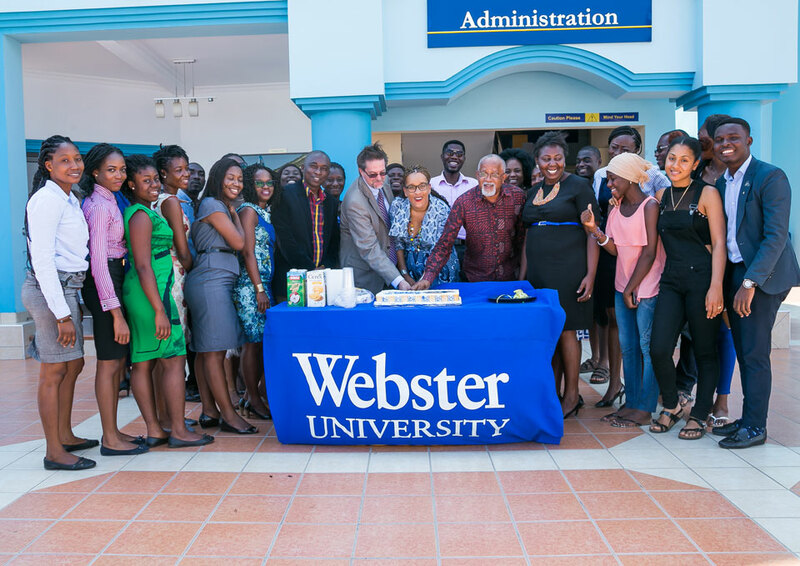 Community members at Webster Ghana held a festive ribbon-cutting ceremony for their new location in Accra, with Peter Maher, associate vice president of international campuses and initiatives, performing the honors. The new location, announced earlier this year with the move completed for the fall term, is in a community with other universities in the area. It has an academic building, student center and administrative building close to each other and designed to enhance student experience. Housing is available for both residential students and visiting faculty. 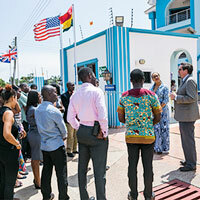 Maher, who was visiting Ghana for the first time, expressed his excitement about the new campus location, saying it represents another milestone for Webster’s network of international locations. While in Ghana for an official three-day visit, Maher also had an in-studio interview with a local radio station to discuss the new program offering in Computer Science as well as the new campus location. The new location has an academic building, student center and administrative building close to each other and designed to enhance the student experience. Maher was assisted by campus director Christa Sanders and academic director Michael Williams. Students, faculty and staff all joined for the ribbon cutting ceremony. The campus director thanked Maher for visiting the Ghana campus, and expressed her hope for it to be the beginning of more of such visits. She said the new campus location creates an exciting environment for students from various backgrounds to live, interact and study together. The ribbon cutting is the first part of series of activities to inaugurate the new location later in the year.